The concept of an inland ‘links’ golf course has often left many golfing purists puzzled at the shear contradiction in terms. Traditionally, the word ‘links’ meant the land adjoining the sea with the mainland, usually made up of sandy soils and natural, tall wispy grasses. The sort of thing we see every July on the golf course staging The Open. Yet it seems the word, certainly in the last 15 years, has been adopted more as marketing term used to describe flat, newly built golf courses with little definition hole to hole and a plethora of staked trees. Such trees, on maturity at least, will render the golf course to classify as ‘parkland’, but as yet play no meaningful part in the golfers experience – and are unlikely to do so for many decades. 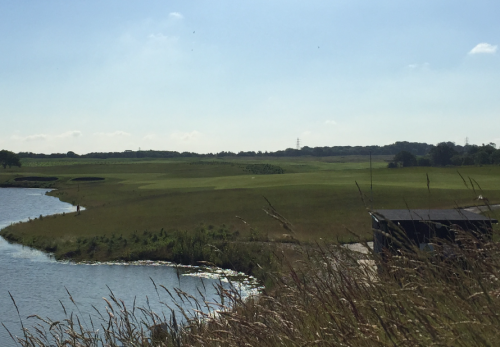 To confound those traditionalists comes a project seven years in the making – Ingrebourne Links Golf & Country Club. The North Course 9 holes opened in September 2017. With it, arguably the most authentic ‘links’ golf experiences, located away from the sea, in the United Kingdom. 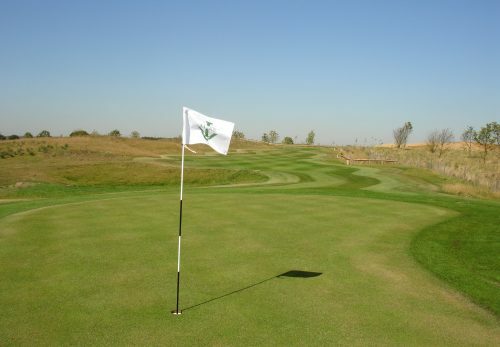 Following extensive earthwork movements and considerable investment from Ingrebourne Valley Limited, the owning company, Ingrebourne Links will launch the second and much anticipated East 9-holes in the Summer 2019, with the final South 9-holes scheduled to open in 2020. The brainchild behind the golf course design is Alan Walker, former Captain of the Professional Golfers’ Association and member of the European Institute of Golf Course Architecture. 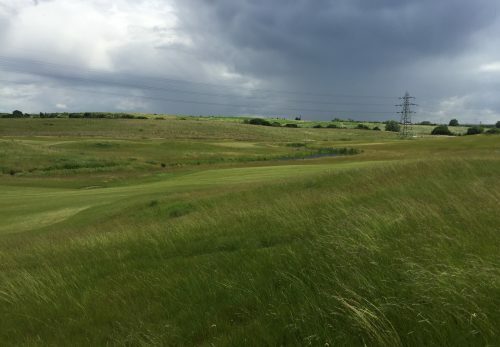 Walker’s lifelong experience in the game, along with his ownership of Garon Park near Southend, gives him a unique perspective on ‘Essex golf’.